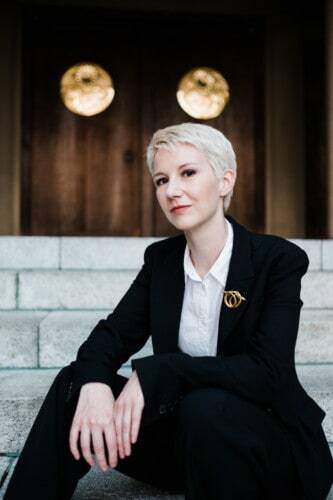 Margaret Atwood’s seminal 1985 novel, The Handmaid’s Tale, has made its way to the stage, the opera, TV, and now a graphic novel. 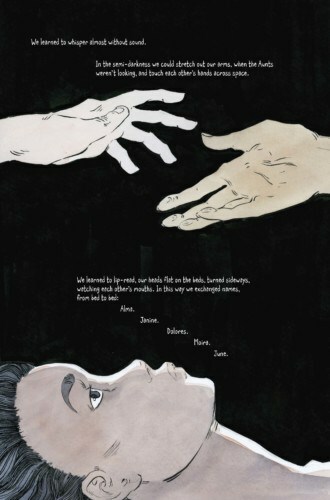 Over the course of 240 full-colour pages, Canadian artist and illustrator Renée Nault tells the story of Offred, a woman forced into reproductive slavery by a repressive, totalitarian state. 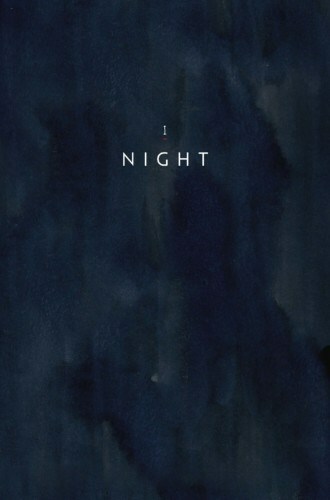 Nault’s richly saturated watercolour illustrations are gorgeous, haunting, and faithful to Atwood’s original tale. This week, we chatted with Nault about how the project unfolded. 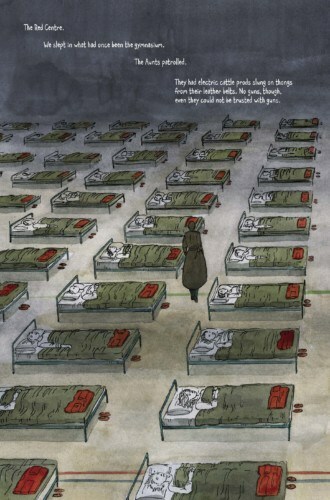 SDTC: The story of The Handmaid’s Tale is striking a real chord lately. How has your view of the book changed since you first read it? Unfortunately, the older I get, the more realistic it seems. So many people seem to pine for an idealized “simpler time,” when men and women’s roles were strictly defined. If you follow that line of thinking to its most extreme conclusion, you arrive at something very much like the Republic of Gilead. What was it like working with Margaret? It was very intimidating because I admire her so much and I wanted her to be pleased with how I told the story. But since The Handmaid’s Tale has been adapted in so many forms, I think she was happy to see me do my own thing with it. She seemed to trust my instincts and didn’t micromanage the way many authors would have. Was there one panel in particular that was more tricky to draw than the rest? Why? There’s a double page spread at Soul Scrolls, which is a kind of storefront full of machines that print prayers. I designed these machines to be extremely ornate. I used elements of antique typewriters and sewing machines, lots of useless detail to indicate how these things are purely for show. Then I had to draw a whole room full of them! I was regretting that design by the end, but I do like how the finished page looks. Hard to pick favourites, but what’s your favourite image from the book? What was your favourite part of this process? The last hour of working on a page is always the most satisfying, when you can see it finally coming together. That’s also when you get to add in all the little finishing details, like patterns and textures, which take a long time but are very meditative and calming to work on. How do you unwind and relax after a long day? I like to go for walks in the woods if it’s not too cold or rainy. I’m lucky to live in a really beautiful area, and I always get good ideas when I walk and let my mind wander. 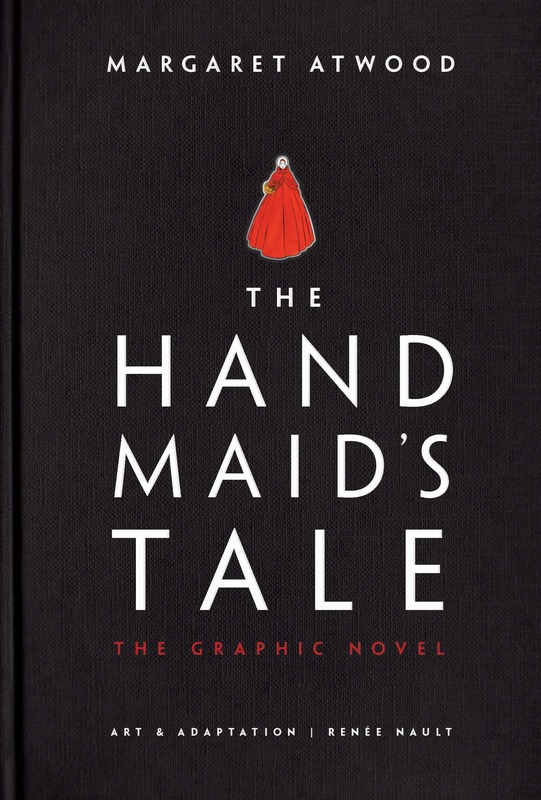 We’ve teamed up with McClelland & Stewart to give away three copies of The Handmaid’s Tale graphic novel. 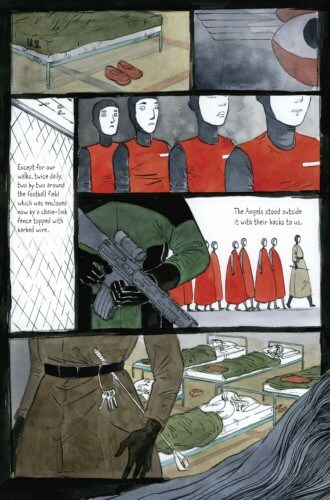 FACEBOOK AND INSTAGRAM: LIKE + COMMENT on our The Handmaid’s Tale graphic novel posts.